Is it possible to provide warning information quickly and individually to the public in case of sever danger – and if so, how? KATWARN, developed and operated by Fraunhofer FOKUS on behalf of then public insurance companies, is a warning system that has changed and sustainably enriched the safety infrastructure in Germany and internationally. As a free service for the public, it informs about relevant threats and provides behavioral advices multilingually and on a location and topic based level. The information are exclusively provided by responsible authorities and institutions that are entitled by an official license agreement. KATWARN is currently available as an application for smart phones as well as a service for text message and email. Furthermore, as part of many co-operations, it has been connected to various public information channel such as digital timetable and message boards, call centers, news portals, on-board computer in vehicles and so on. Besides being operated by counties, federal states and the federal government, KATWARN has been the corporate warning system for industrial companies and facilities of the critical infrastructure as well as for organizers of major events. 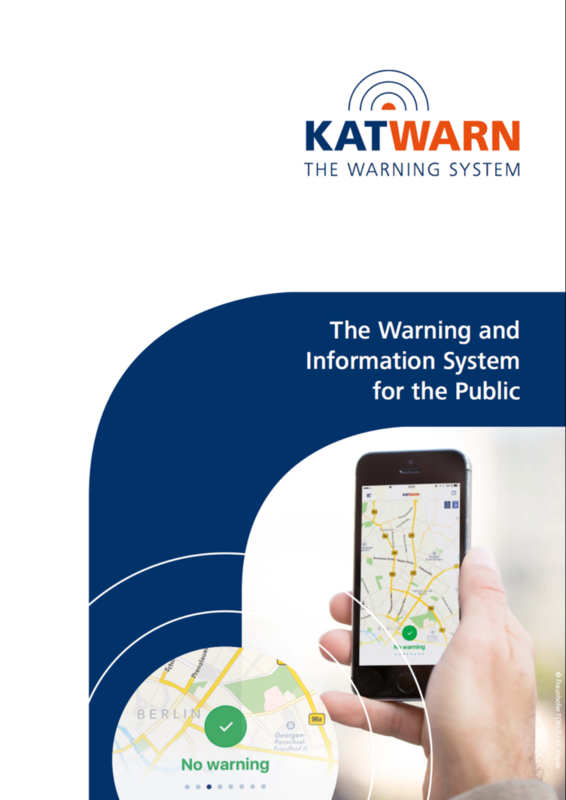 In 2017, the Austrian Republic implemented KATWARN as national warning system. 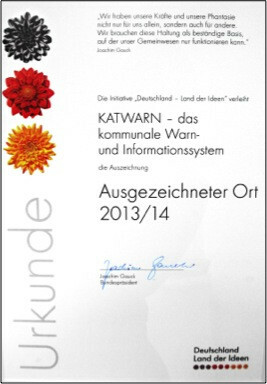 On October 30th, 2013, KATWARN was chosen from amongst 1.000 candidates and awarded for “A Place of Excellence in the Land of Ideas” - an initiative aimed at promoting Germany as a location for industry and trade by the federal Government and Federation of German Industry (BDI).